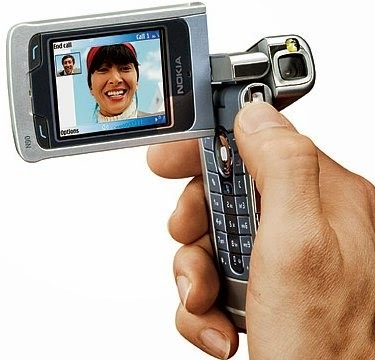 nikakihijau: Unique mobile phones in this era! Let me start the day by sharing with everyone information relating to unique mobile phones. It is an interesting topic for me as I would like to explore what are the phones available in the market besides Iphone and Android phones that are dominating the industry these days! This is a very unique phone. 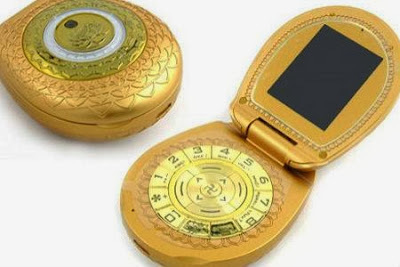 A phone that is designed based on golden clam shell with a built-in virtual prayer room features. It is not cheap. With a piece of jade, pearl powder lacquer and a glossy 24 carat gold coating, the price tag is USD 1750! A TV phone is not something new in the market. In fact, the phones have already made available. 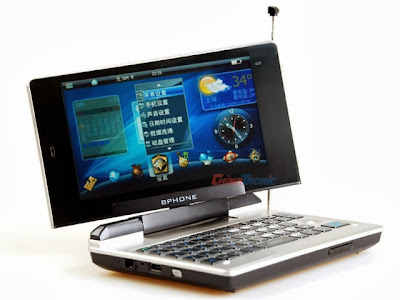 What this phone differs among its peers is that it does have a twistable 5-inch 800x480 screen with a full keyboard. Sounds like a mini-dvd player rite? Don’t waste your time personalising your phone with bling and glitter. 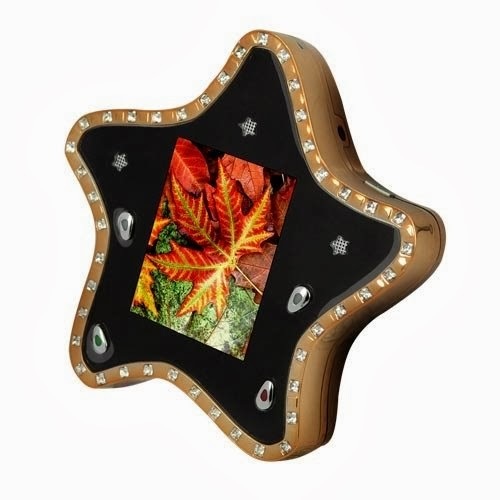 Introducing, the C99 Starphone, a special shining Star Mobile Phone that enables you to hold a star in your hands while on the go! Made in China, the C99 has all the basic functions so if you guys wants something totally unique, this phone suits you perfectly! The Chinese Electronics Corporation (CEC) recently launched a tiny, pricey wristphone that packs in features found in larger phones, such as a keypad, color screen and camera. 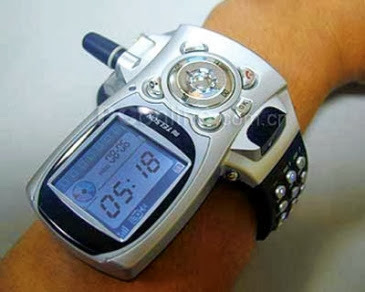 Probably this design is not new as you would probably find it in sci-fi shows like Power Rangers. How I missed Tommy the Green Power Ranger! N90? Sounds familiar right? Those days N90 is considered a luxury item because it combines artificial intelligence with excellent features. It has good quality camera and its screen could be swivel 270 degrees to allow for a more conventional video camera handling. That I called superb! Unfortunately for me I don’t have sufficient funds to own it.